1. A Sound Among the Trees: A Novel - I actually wasn't going to take this one, but my rep at this publishing house (who knows me well) urged me to. When she prods I generally listen because we seem to have similar tastes. I've never read anything by Meissner so we'll see. Anyone out there with such reading experience? 2. The Woman Who Heard Color - World War II. That's my reason. The cover art makes me incredibly suspicious. But I'll give it a go and see how far I get. 3. God Behaving Badly: Is the God of the Old Testament Angry, Sexist and Racist? - The title just irritates me so much that I couldn't pass this one up when offered. I have a love/hate relationship in simply staring at this book and I'd really kinda like to get it over with. 4. Why Church Matters: Discovering Your Place in the Family of God - I have much, much higher hopes for this one. 6. The Second World War , by Winston Churchill. I mentioned that I wanted to read this in last month's Nightstand post. I'm into the first book in the series, The Gathering Storm , and I'm loving it. It's just long so it's going to be an ongoing project. But worth it in the end, I think. 7. The Grimm Legacy which I also mentioned previously. Jonathan gave this one to me for my birthday and it just looks so fun...and lonely...like it needs company. 8. An Experiment in Criticism , by C.S. Lewis. I either need to stop talking about it or just read it. One or the other. 9. The Princess Bride: S. Morgenstern's Classic Tale of True Love and High Adventure - I've already read it (don't fret!) but I've been wanting to re-read it and just haven't made the time. Maybe if I put this one my list I'll make the time. 10. I would like to re-read Betsy-Tacy as part of Sarah's Maud Hart Lovelace Reading Challenge. I think I'd probably better stop there because no doubt other things will pop up that I think I will LOVE and this Winston Churchill thing is going to take a good bit of time anyway. So that's it, folks. And now I'll take it step-by-step in baby chunks through the end of the year. Great list! I really enjoyed The Princess Bride, what a fun book! I've read a couple of Meissner's books and enjoyed them, though I had a couple of reservations about one. Haven't seen this one -- will be looking forward to your thoughts. I agree God Behaving Badly sounds off-putting -- I'm going to hope the author is going to prove otherwise. Loved The Princess Bride. I want to read it again some time, but not anytime soon. I enjoyed Why Church Matters, and I am really looking forward to Lit! That's kind of my motive too -- reading some books off my shelf! got a great list there. I posted mine on mine on In all things give thanks blog. Great list...I have 25 books on my list - a bit ambitious but I think attainable. It's a combo of review books and books that will allow me to complete the other challenges I signed up for. Interesting list, as always! I'll be reading Lit as well -- looks great! And yes, God Behaving Badly...sensationalist title to be sure... I'll be curious to hear your thoughts. The Grimm Legacy looks like a fun one. Just put it on my wish list. Thanks for being part of FIR '11, Carrie! I love Susan Meissner! I haven't read this one yet though. Hope you enjoy her as an author. My eyebrows rose at the title of God Behaving Badly too. Looking forward to your review of that one. I always love seeing your list, Carrie. You're better at variety than I am. Maybe I'll work on that for my Spring Reading list. ha. God Behaving Badly and Why Church Matters are two in particular I'll look forward to you reviewing. Thinking about you as I finished Unbroken and Bonhoeffer this week, two WW2 books. :-) So good, both of them! I love that this challenge is helping me read books that have been sitting on my bookshelf for a while, but reading your list has just added a bunch of titles to my to read list! This looks like an interesting list. Happy reading! Uh Oh, it sounds like I may be sorry I turned down A Sound Among the Trees. 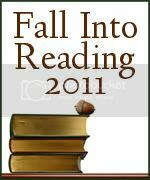 Have a great reading Fall. Great list...I've read (and enjoyed) a number of Susan Meissner's older books, but haven't read anything of late. Hope you enjoy it. I've never heard of Meissner before. I have to say God Behaving Badly definitely hit me the wrong way when I read the title. Looking at some reviews on Amazon I am looking forward to your review. Have fun with your list. Great List. As usual I've added some books from your list to my wish list. I agree" God Behaving Badly has rankled me by the title. I look forward to seeing what you have to say about it. Great list! Looking forward to your review of Lit and God Behaving Badly! Wow. Your list looks challenging to me. Winston Churchill doesn't seem to be high on many lists. Hope you get to do all the reading you want! I've enjoyed everything of Meissner's I've ever read. Yes! Yes! 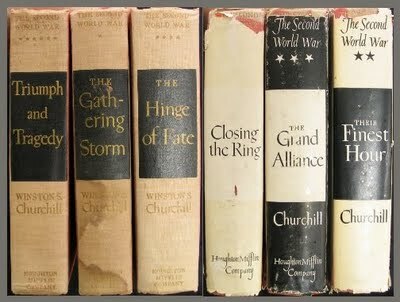 Read the Churchill! It will take forever, but it is worth it. Also, his History of the English Speaking Peoples, if you can get a copy of that.